Last week, the New York Times carried a front-page story on the decline in law school applications. In 2004, there were 100,000 applicants to law schools, the Times reported. This year that number will decline by about half. One law school dean admitted that law school costs too much. "Most law schools are too expensive,the debt coming out is too high and the prospect of obtaining a six-figure-income job is limited" (as quoted in the Times). What happened? As the Times article reported, law school has gotten very expensive. As I wrote in a past post, tuition at the University of Texas School of Law was $1,000 per year when I attended in the late 1970s. With a little savings and working part time, most students could graduate from law school with no debt. Today, it costs a Texas resident $32,000 a year to attend UT Law School. Second, we don't need as many lawyers as we once did. Electronic legal research has made it possible for legal researchers to be ten times more efficient than they were before Westlaw and Lexis-Nexis were introduced. Third (and I admit this is a totally subjective view), I suspect that law school faculty are not as focused on training legal professionals as they used to be. Consequently, a law school education is not as useful as it once was in getting graduates ready for the workforce. Too many law professors are writing postmodern law review articles that no one reads instead of striving to relate law-school education with the real world. Fourth, I think the blog critics have done their part to discourage potential applicants from going to law school. There are some terrific online writers who use data and savagely effective writing skills to describe what is going on in legal education, and the picture they paint isn't pretty. I feel sure a great many young people decide not to go to law school after reading those blogs. I applaud those writers, by the way. They have provided a real service by alerting people that law school may not be a good investment. Non law-school academics may be thinking, "Thank God I teach in another profession." But they need to realize that the shakeup in legal education is coming to the whole field of higher education. The colleges of education, for example, are vulnerable to declining enrollments. There are too many colleges of education, for one thing; and online for-profit competitors are cutting into the market share of the colleges of education at public universities. And the social sciences and liberal arts will probably see a further decline in student enrollments. If a potential law student can do some research and conclude that law school is a bad economic bargain, the potential history major and philosophy major can come to the same conclusion. According to a report prepared by the Center for College Affordability and Productivity, nearly half of all employed college graduates who held a job in 2010 were employed in a job that did not require a college education (Bidwell, 2013). 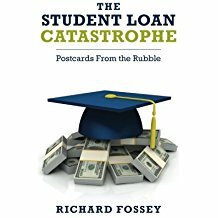 A high percentage of these underemployed college graduates borrowed money to attend school, and they must pay back their loans whether or not their post-college income justified the investment. More and more, we are going to see young people calculate the odds when they make decisions about higher education. And many will conclude that the odds aren't good. Private liberal arts colleges are likely to suffer the most from the new economic reality. Fewer and fewer young people are going to seek a a liberal arts degree from an expensive private college--particularly the nonprestigious liberal arts schools that were founded years ago by religious denominations. In other words, in the world of higher education, it is not only the law schools that are in trouble. 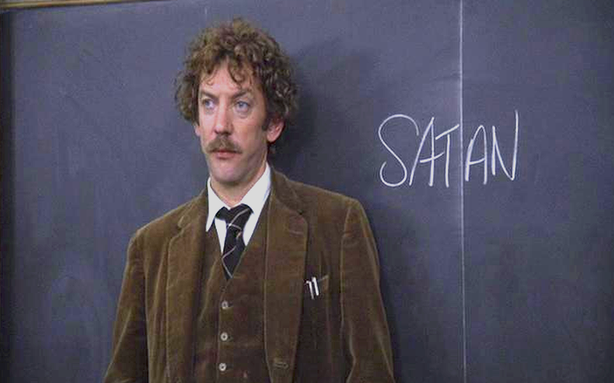 We can tell the college professors in nearly every discipline: "Ask not for whom the bell tolls." It tolls for a lot of us working as college and university professors. Bidwell, Allie (2013, Januatry 28). Millions of Graduates Hold Jobs That Don't Require a College Degree Report Says. Chronicle of Higher Education. Bronner, Ethan. (2013, January 31). Law Schools' Applications Fall As Costs Rise and Jobs Are Cut. New York Times.